Your Facebook News Feed could become very different and diverse soon. 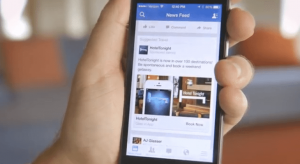 Facebook is bringing a different take to News Feeds with new customizable features. The company is testing customizable, local feeds. This new feature is currently only available to a small number of users. The new feed lets you choose between a generic News Feed as well as a feed focused on travel, style, recent headlines, and a variety of other options. The testing is currently only done on mobile devices, considering that’s where the majority of user usage happens. According to Facebook, users want more conversations about specific topics in their News Feed. The company responded to that with this new testing period. They want to bring different stories from people and Pages based on a choosable subject area. The new feeds are only in a testing period, and there’s no information on whether this will become a new standard. Facebook is also in the process of developing a Marketplace feature, enabling users to buy a product immediately after clicking an ad. The Marketplace icon would replace the Messanger icon on the mobile app; giving users quick reach to a shopping page customized by the Pages you like. This feature is currently only accessible to a small section of users in the US.